A new kitesurfing shop has opened in Melbourne - The Zu Boardsports in the West Beach Pavilion at St Kilda. Ivan Salmon is running the shop - which was previously known as Katani, at the great beach location right next to Melbourne's most popular kitesurfing location. Ivan really knows his kitesurfing. He was a great help to me when I started kitesurfing. 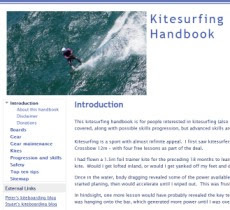 He has an wealth of expert knowledge about kites, boards and accessories, as well as techniques. Drop in to check out the shop. You can even test ride a very zippy electric skateboard. I had a ride - its heaps of fun. They have a wide range of kites too so you can compare and get advice about several brands, unlike some shops that only tend to carry one or two brands. Being right on the beach, testing out gear on demo runs will be a great option too. The beast - test ride recommended! 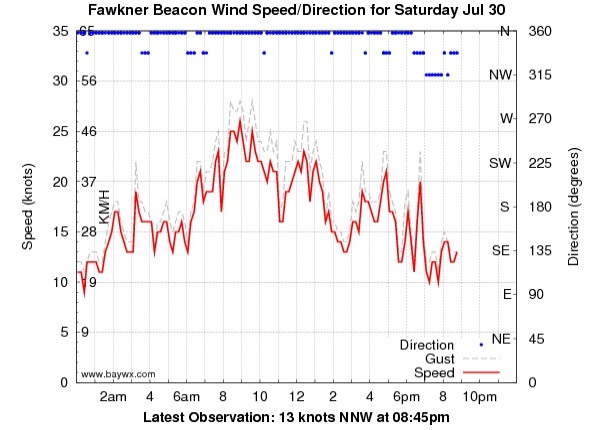 Some good wind was forecast for today. Stuart and I headed down to check out Keast Park near Seaford. Its a nice spot with a reasonable beach for launching, but there was not a breath of wind. 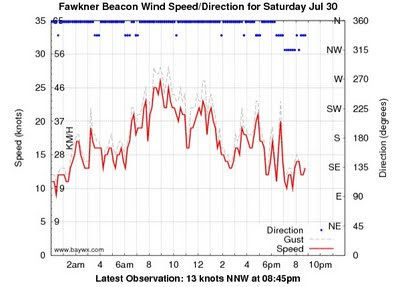 Yet Fawkner Beacon was reading 15 knots! So we headed back to Brighton. There was enough wind to get going so we headed out. A lovely session. Cool but not too cold. Squalls were passing to the north. Good consistent wind, again better about 300m out where the turbo kicked in. We went upwind to gain ground in case the wind dropped. After about 40 minutes of great kitesurfing, the wind did drop a little with us 800m or more offshore, so we headed back in. I landed my kite just as a light shower arrived. Stuart came in a short while later. A nice crisp winters day in Melbourne, with a good northerly forecast by Predictwind. 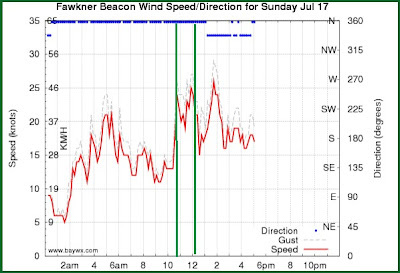 Just as I arrived at Brighton to meet Stuart, the wind jumped from around 12 knots to 20+ knots. Game on! Given the possibility of the wind dropping out, and the wind shadow effect close to the beach, I decided to take out my Noise 12m. Wetsuit, booties and vest on, kite pumped and rigged in feverish haste. It was superb to get onto the water. The wind was good, but definitely gusty. It was around 15-20 knots leaving the shore, then at about 250 meters it jumped to 25+ knots. I depowered my Noise kite once, then more, to keep control. The depower below the bar is very had to set with any pull on the bar, so I stop, take the pressure off the depower line, pull it in and re-cleat it. There is a lot of depower adjustment with this kite, and just as well. This would be the strongest wind I have been out in with it. Going upwind was a cinch, and the kite was easy to control. 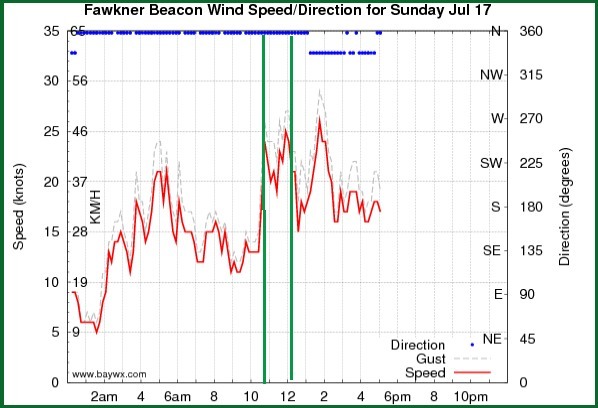 But the big variation in wind speed was challenging. There was even an odd brief lull before the wind came surging back with a vengeance. Stuart and I did an upwind tour past the Brighton Marina, then headed back doing some jumps, carved turns to toeside and some nice slalom moves. I have the right turn to toeside nailed, but need to practice the left turn. After 30 minutes some other kiters showed up and it almost got crowded. My feet were cold even with booties on so it was good to come back in - just when the wind dropped too! We got the wind window right today! It was really great to get out on the winter water wonderland. One guy's kite got blown onto some exposed reef and cut up a bit. Just to reiterate, Brighton is no place for beginners in a northerly.